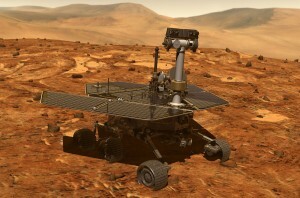 NASA announced Feb. 13 that it was ending efforts to restore contact with the Opportunity Mars rover, bringing its mission to an end more than 15 years after it landed on the planet. NASA expects to soon end efforts to contact the Opportunity Mars rover, silent for more than four months after a major dust storm, but will continue to listen for signals from the spacecraft for months to come. Despite conditions that have deprived the Opportunity Mars rover of solar power, NASA officials said June 13 that they expected the long-lived spacecraft to survive an intense ongoing dust storm.